Hotel Les Theatres is in one of the liveliest and most culturally-oriented areas of Paris. Concert halls, cinemas and especially theatres all illustrate the French passion for a good show. Keeping the world of entertainment alive, Les Theatres Hotel invites you to stay in its Molière rooms where the décor pays homage to one of the greats of French theatre. Commonly associated with the Sun King and the splendour of Versailles, Molière is also one of the country's most timeless playwrights. His comedies, "The Imaginary Invalid", "The School for Wives", as well as his rarer dramas, deal with all the troubles, faults and splendours of the human condition. Young and old have been reduced to tears of laughter for centuries, so it's fitting that Hotel Les Theatres has chosen to celebrate this extraordinary genius in its own way. Our design team has created rooms that evoke the man as well as his era. As a 4-star hotel, our rooms offer all the comforts and facilities that you would expect such as air conditioning, Wi-Fi, a minibar and a safe. However, you'll probably retain memories of the sophisticated 'Grand Siècle' decor: draped curtains, murals depicting the comedies of Molière, furniture that is inspired by his theatre, each detail has been carefully designed to give rooms a personal and intimate feel. 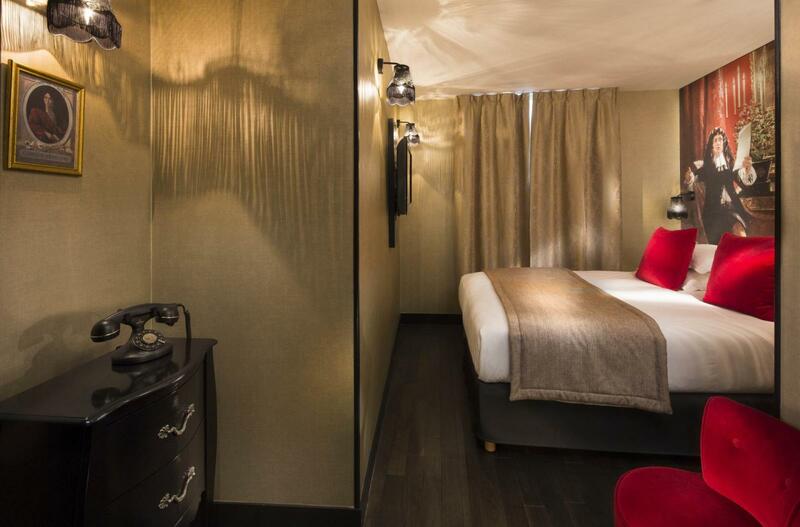 Staying in your Molière room is sure to make you want to see one of his plays at the Comédie Française or the Théâtre du Palais Royal, the former Italian Theatre that was created especially for Molière's troupe! 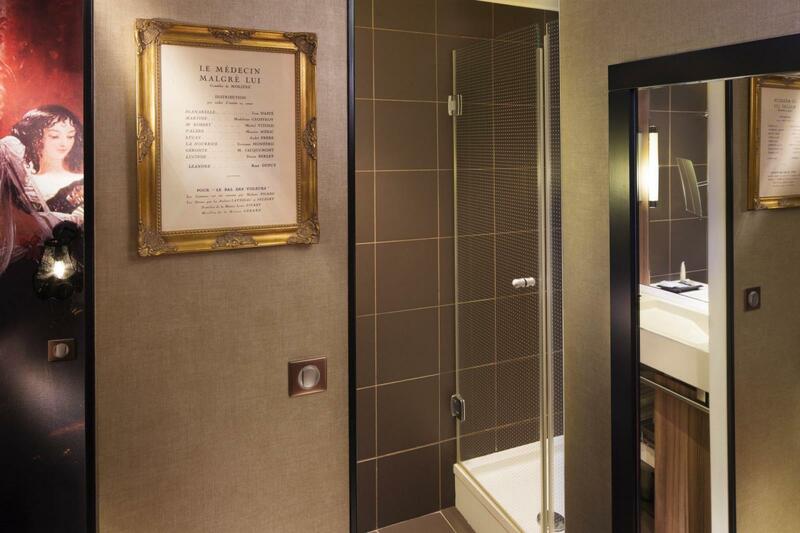 More than a hotel room, the Molière room is an invitation to rediscover the masterful work of the great man. Only available as a Classic Room, be sure to state that you wish to sleep in one when you make your reservation!